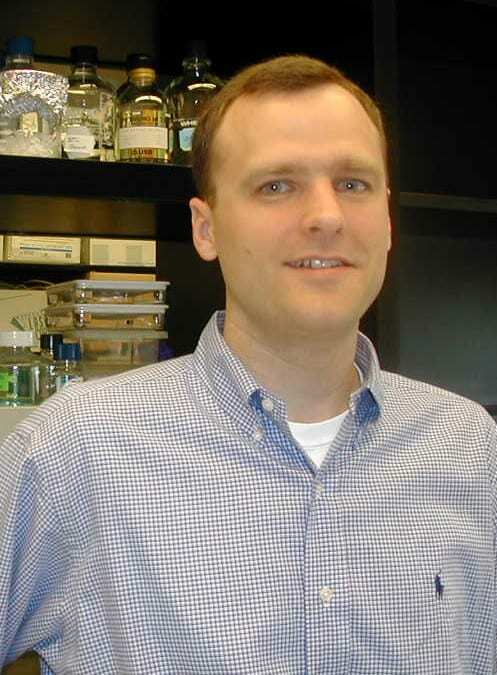 Sean Prigge is a professor with the Department of Molecular Microbiology and Immunology. His research focuses on enzymes and metabolic pathways in malaria parasites. S. T. Prigge, R. E. Mains, B. A. Eipper, L. M. Amzel, Dioxygen binds end-on to mononuclear-copper in a precatalytic enzyme complex, Science 304, 864-867 (2004). S. T. Prigge, A. S. Kolhekar, B. A. Eipper, R. E. Mains, L. M. Amzel, Substrate-mediated electron transfer in peptidylglycine alpha-hydroxylating monooxygenase, Nature Struct. Biol. 6, 976-983 (1999). S. T. Prigge, A. S. Kolhekar, B. A. Eipper, R. E. Mains, L. M. Amzel, Amidation of Bioactive Peptides: The Structure of Peptidylglycine alpha-Hydroxylating Monooxygenase, Science 278, 1300-1305 (1997). S. T. Prigge, X. He, L. Gerena, N. C. Waters, K. A. Reynolds, The initiating steps of a Type II fatty acid synthase in Plasmodium falciparum are catalyzed by pfACP, pfMCAT and pfKASIII, Biochemistry 42, 1160-1169 (2003).